Here’s a personal story about geriatric massage featured in the Medical Massage Therapy Manual. I had a wonderfully rewarding experience offering massage to a geriatric client in New England in 2012 as he was in his final months of life. The experience helped remind me of the wonderful comfort and reassurance that compassionate and therapeutic touch can offer geriatric clients, especially those that are in the process of passing. For the sake of privacy, I’ll refer to this client as “Robert.” Robert lived to be 101 years old and he lived a long, full life that had a positive influence on those around him. Although Robert was elderly when we met, he was certainly not defined by his age. I flew to Cape Cod on May 12, 2011, to meet Robert. The next day was Robert’s 101st birthday and we celebrated at The Chatham Bars Inn in Chatham, Massachusetts. I spent my first encounter with Robert sitting on the couch, quietly talking with him while we put together an album of his photos from Hawaii during WWII. We quickly grew comfortable with each other’s company. I asked him if he would like a foot massage and his blue eyes twinkled. He said, “I don’t know, I’ve never had a massage. Would I?” He was willing to try it and that began a regular routine of foot and hand massage at his home, later in the hospital, and finally in an extended care facility. While visiting Robert, I also made arrangements to meet with my Compassionate Touch Instructor, Lisa Curran Parenteau, who happened to live in the Cape, just a few miles from Robert. Lisa introduced me to one of her students who lived in the Cape and we made arrangements for her to come for a few geriatric massage sessions with Robert when I was out of town. She also offered chair massage to Robert’s family when they visited him in the hospital. In Robert’s final days, Lisa volunteered to come sit with him at his extended care facility. She played his favorite music for him and he brightened up each time she entered the room. I will always have a fond place in my heart for her selfless service and loving compassion. Robert passed away at the extended care facility on March 6, 2012, ten months after our original meeting. I visited him often during that ten–month period, flying from Austin to the Cape to be with him. I offered him my quiet, comforting presence and frequent hand and foot massages. I was with him just a few days before he passed, offering him Compassionate Touch and soothing him during the final stage of his transition. He passed peacefully with his daughter, Catherine, and long–time caregiver, Louise, by his side. The experience of knowing Robert and offering massage to him in his final months reminded me of the important impact we, as massage therapists and caregivers, have on those we touch. There is no doubt that the massage sessions that Robert was given helped to calm his mind and soothe his body. It can be easy to forget that the practice of massage is more than just a career. It is a practice that can be important and life changing on the individual, personal level. The nurturing elements of massage can help clients in all walks of life and this particular experience reminded me how important it can be for the geriatric community and those near the end of life. Ariana Vincent was awarded the 2015 CE Provider of the Year Award by the Alliance for Massage Therapy Education. 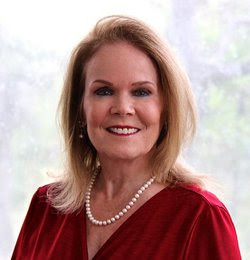 She is the CEO of the Ariana Institute for Wellness Education and a Nationally Certified Massage Therapy Instructor whose classes are accepted throughout the United States. 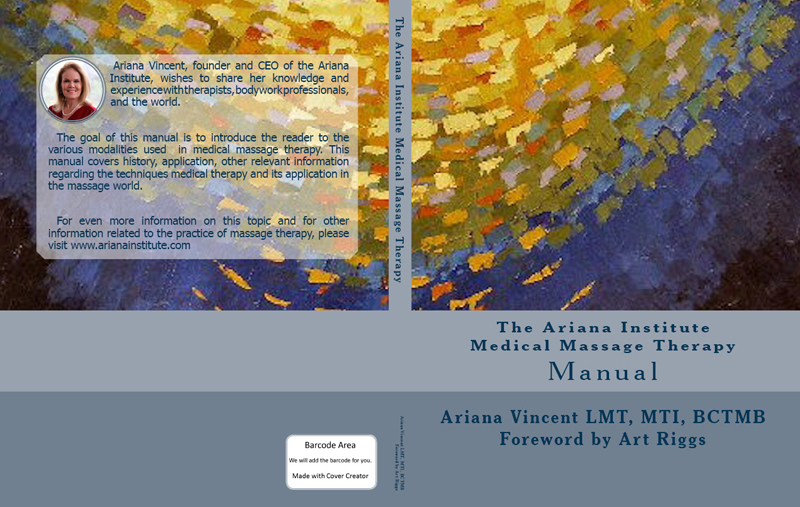 Ariana is also a Massage Therapy Hall of Fame Honoree and author of the Ariana Institute’s therapy manual series available on Amazon.